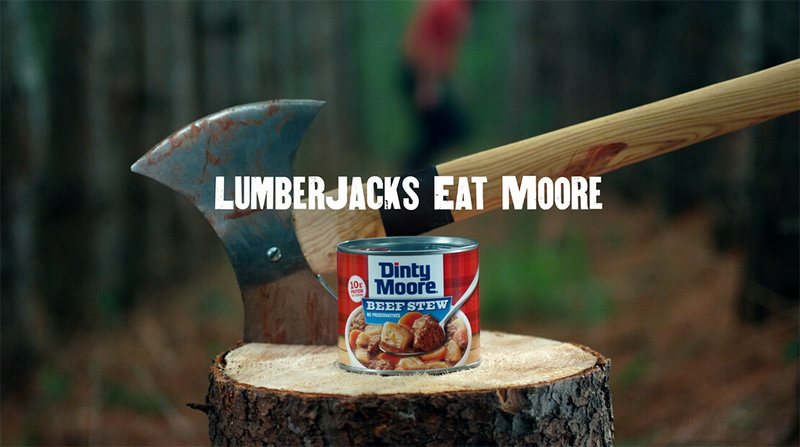 Dinty Moore® Beef Stew “Lumberjacks Eat Moore” campaign earns Gold Effie Award at the 2018 North American Effie Awards Gala in New York City. The makers of Dinty Moore® Beef Stew were recognized with a Gold Effie Award for its “Lumberjacks Eat Moore” campaign at the 2018 North American Effie Awards Gala held in New York City last night. The campaign was also a contender for the Grand Effie award. BBDO Minneapolis and contributing agency PHD partnered with the brand on the campaign. “The campaign was all about connecting the rich brand heritage of Dinty Moore® Beef Stew and its lumberjack roots while celebrating its place as a ‘working man’s fuel’ in pop-culture,” said Sarah Johnson, brand manager, Grocery Products at Hormel Foods. The campaign focused on digital activation and sponsorship events and resulted in an 18 percent increase in baseline volume sales and 16 percent increase in household penetration. To view the digital ad, please visit http://www.hormel.com/Brands/Hormel-Dinty-Moore. The Effie Awards are known by advertisers and agencies globally as the pre-eminent award in the industry and recognize any and all forms of marketing communication that contribute to a brand’s success. The North American Effie rankings reflect points accumulated from finalist and winning case studies from the 2018 North American Effie Awards competition and will be factored into the 2019 Global Effie Index. For more on the Effie Awards, please visit https://www.effie.org.